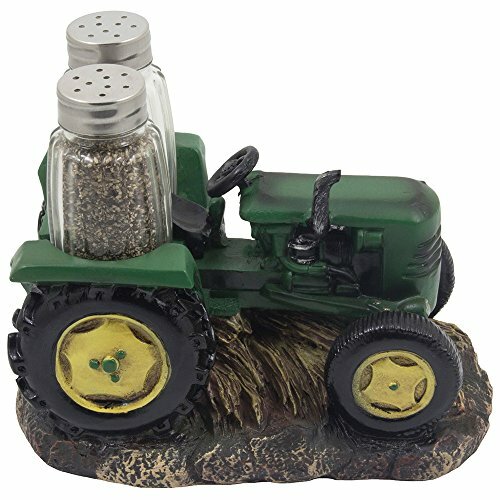 Straight from the farm to your kitchen table, this vintage tractor is delivering the spices! Fresh from the heartland, this finely thorough model tractor is designed to search like a traditional John Deere. 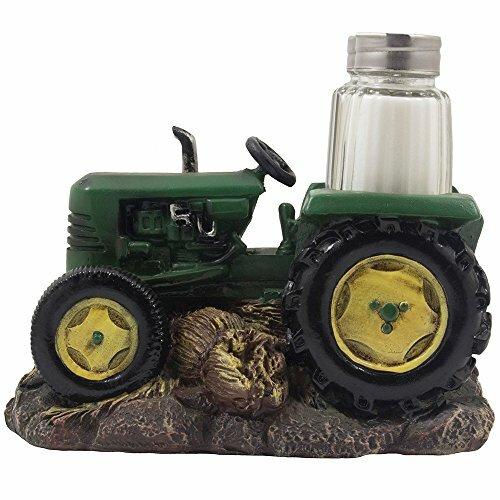 A distinctive sculpture that is sure to turn out to be a traditional, it does double duty as a convenient salt and pepper shaker set that is particular to be a conversation piece at your dinner table. 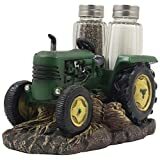 Makes a fantastic addition to any rustic country kitchen décor or as a welcome present for farmers. 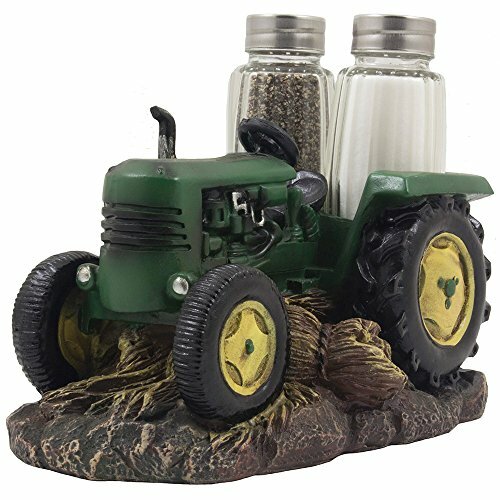 Three piece set consists of one particular decorative display holder figurine and two glass salt & pepper shakers. 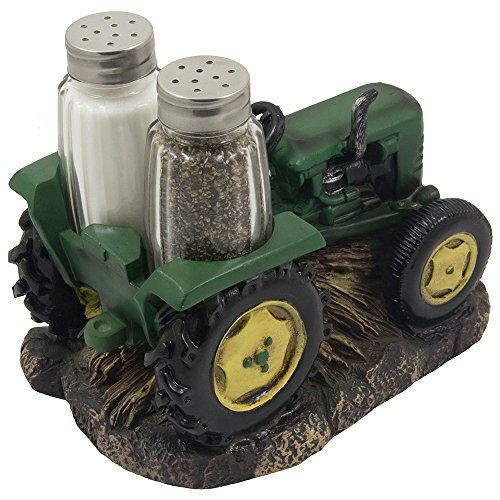 Straight from the farm to your kitchen table, this vintage tractor is delivering the spices! - See full description below. Dimensions: 6 3/4" x 3 3/8" x 5" high. 4 1/8" high w/o shakers. Weight: 1.3 lbs.